She set aside well over 600 cases which were affected by the misbehavior of Deborah Madden, a now-retired crime lab technician… who was convicted of misdemeanor domestic violence in 2008, which should have been reported to defense lawyers by Prosecutor Harris’ office, but was not. In 1963 the Supreme Court ruled that District Attorneys are obligated to share with the defense any information about prosecution witnesses that could be used to challenge their credibility. Later, Ms. Madden was accused of stealing cocaine from the evidence she was testing. 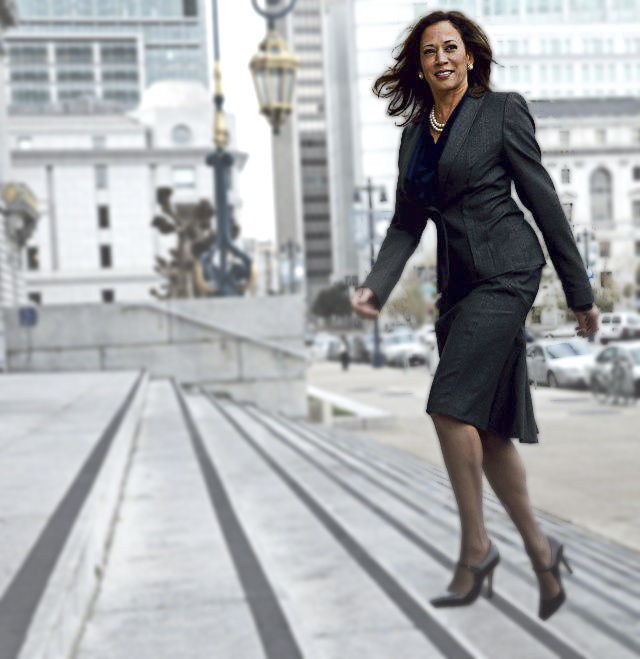 As San Francisco District Attorney, Kamala Harris stepped aside from any involvement in the matter to avoid the possible appearance of conflict of interest, and asked California Attorney General Jerry Brown’s office to investigate because anyone in her office could have been called to testify in the case. Later, San Francisco Police Chief George Gascón closed the drug crime portion of the crime lab because of chronic understaffing problems, even though the entire crime lab itself was fully accredited. Those sound like truly serious problems about Kamala Harris to me. At what point does the GOP’s Malicious Hate and Slander machine stop? Already, she’s been the target of mail bomb packages. And shortly after she announced her intentions to campaign for the Office of the President, she raised $1.5 million from 38,000 donors in one day, nearly topping the record set by Vermont Senator Bernie Sanders in his 2016 Presidential campaign by raising $1.5 million from 35,000 in 24 hours. And like Senator Sanders, she is NOT accepting any money from Corporate PACs, and is only accepting campaign contributions by, and for The People. And… in 2017, Kamala Harris was polling HIGHER than Donald Trump, and pollsters found that were the election held that day, she would have narrowly beat him. The poll was conducted among 836 registered voters from July 14 to 17, and had a very tight margin of error of 3.4%. She’s most lovely, telegenic, and she’s EXTREMELY INTELLIGENT! Very unlike a certain GOP Vice Presidential candidate from Alaska who abandoned the people by simply up and quitting as Governor. This entry was posted on Wednesday, January 23, 2019 at 5:57 PM	and is filed under - Did they REALLY say that?, - Politics... that "dirty" little "game" that first begins in the home., - Read 'em and weep: The Daily News. Tagged: 2019, accusation, AG, Attorney General, California, cleared, cocaine, DA, Democrat, district attorney, Kamala Harris. You can follow any responses to this entry through the RSS 2.0 feed. You can leave a response, or trackback from your own site.